It’s time for a new giveaway! One of our readers will win a bottle of our popular skin cleanser. Infused with soothing properties of oils distilled in India from tropical grass, our face wash cleanses the most delicate of skin types. Hero ingredient palmarosa has long been regarded as a potent soother and smoother, whilst grapefruit and lemon gently remove dirt and pollution. To enter our prize draw, log in to the Gleam giveaway widget below. You can get an entry in the draw for visiting the Tri-Dosha Facebook page, following @Tri_Dosha on Twitter and tweeting about the giveaway! By sharing the giveaway with your friends, you gain a bonus entry for every friend that enters via your link too. This giveaway is open worldwide and ends on 3rd October 2016. Win Tri-Dosha Cleanser This giveaway is listed at Loquax, The PrizeFinder and Online Sweepstakes. 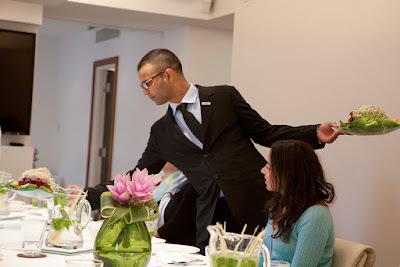 This month it will be ten years since Tri-Dosha's first training programme was launched. 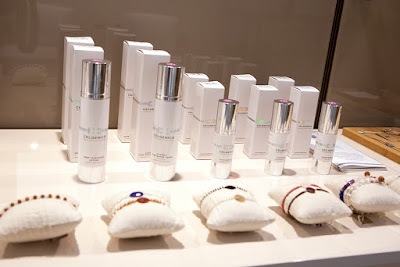 In celebration, we have launched a divine new treatment oil for the face: Happiness in a Bottle! This wonderfully aromatic and effective blend of natural essential oils and plant extracts will leave thirsty skin perfectly nourished. It contains a complex list of potent ingredients including evening primrose oil-which is packed with omega 6 fatty acids for healthy looking skin, frankincense to promote cell renewal, and rose geranium to create the smoothest of complexions and optimise radiance. 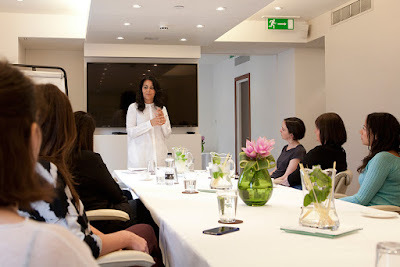 Tri-Dosha was founded in 2005 when therapist and writer Sunita Passi established our Ayurveda training Academy. Aiming to bring the ancient wisdom and infinite health benefits of Ayurveda to a wider audience, Sunita created a training programme for therapists to learn authentic Ayurvedic massage. Since then Tri-Dosha has trained hundreds of students in Ayurveda Massage Therapy whilst developing an award-winning range of luxurious and healing skin and body care to complement our therapies. Happiness in a Bottle celebrates a decade of wellbeing wisdom and we hope you’ll enjoy the benefits. We're giving away a 'Happiness in a Bottle' facial oil to one of our lucky blog readers, and will post it to anywhere in the world! To enter our prize draw, leave a comment on this blog post completing the sentence: "Happiness is..."
Then log in to the Gleam widget below and tell us the name you commented with. For optional bonus entries, you can visit the Tri-Dosha Facebook page, and follow @Tri_Dosha on Twitter. By sharing the giveaway with your friends, you gain a bonus entry for every friend that enters via your link too! The prize draw closes on 15th November 2015 at 23.59 GMT and full T&Cs are in the Gleam widget. This giveaway is listed at Loquax, The PrizeFinder and Online Sweepstakes. Looking for some well deserved relaxation and rejuvenation? Bookings are now being taken for our Time Well Spent spa and wellness event at COMO Shambhala Urban Retreat, London on Saturday 17th October 2015. This is a women-only diet and lifestyle event, including speaker sessions, guided meditation practice, a delicious lunch, nutritional consultation and a fantastic half-hour massage. The event runs every three months and is aimed at busy professional women of all ages, and the price is £199. 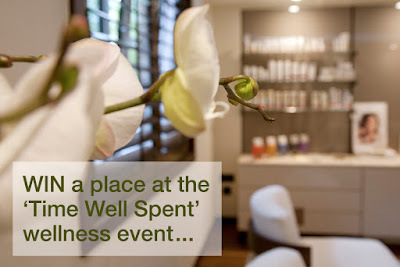 Exclusive Competition – One lucky Tri-Dosha fan will win a place at the 'Time Well Spent' day, worth £199. 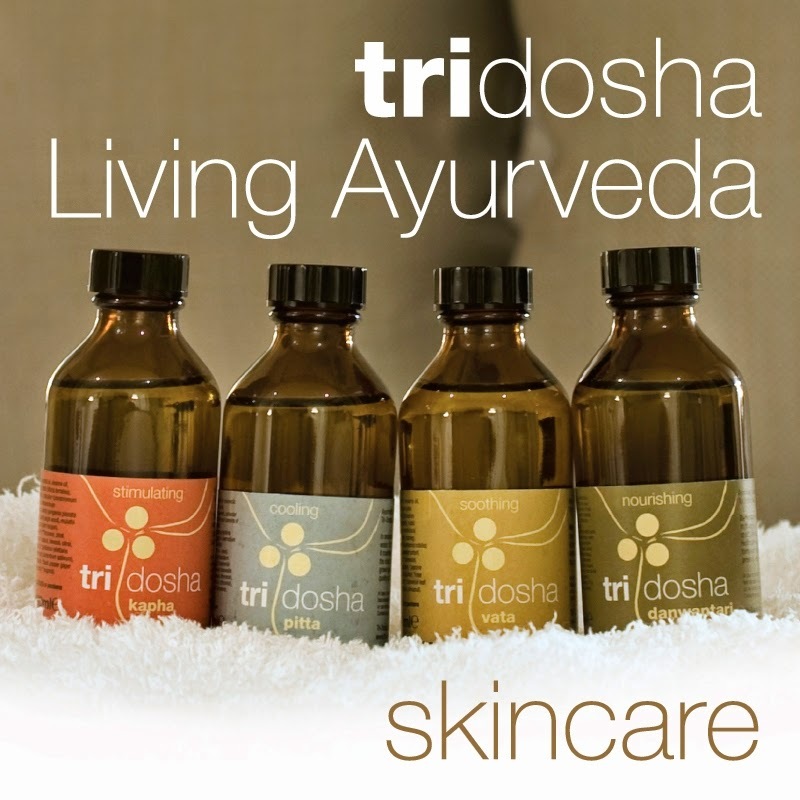 We’d love to hear why you love Tri-Dosha – whether it’s our products, our heritage, our retreats or something else! Share your #TriDoshaStory with us on Twitter, Facebook or Instagram - or if you prefer, simply email us your thoughts to info@tri-dosha.co.uk. Use words, photos, audio or video - whatever tells your story best. If you enter on social media, be sure to include #TriDoshaStory and tag @Tri_Dosha to make sure we see your entry. After the closing date of 7th September 2015, the Tri-Dosha team will choose their favourite entry to win a place on the wellness day in London on 17th October 2015. One winner will receive a free place on the COMO Shambhala Urban Retreat ‘Time Well Spent’ wellness day, on Saturday 17th October. There are no alternative dates. Open to worldwide residents aged 18 and over, excluding employees and relatives of Tri-Dosha. The prize does not include travel to London. Closing date for entries is 11.59pm GMT on 7 September 2015. The winner will be judged on originality and relevance to the Tri-Dosha brand. The winner will be contacted within 7 days of the closing date and must respond within 14 days with their details, or a new winner will be chosen. The winner’s name will be available on request and announced on social media. Entry to this competition confirms that participants have read, understood and agree to be bound by these Terms and Conditions. By entering the competition, the entrant agrees that all content submitted for the competition can be used by Tri-Dosha in promotional material and online. The promoter is Tri-Dosha, 14 Popes Lane, Ealing, London W5 4NA. This month we’ve got a special prize of a shampoo and conditioner set worth £30 to give away to one lucky Tri-Dosha fan - and we will post it to anywhere in the world! To enter our prize draw, log in to the Gleam widget below and answer the question correctly. For optional bonus entries, you can visit the Tri-Dosha Facebook page, follow @Tri_Dosha on Twitter and subscribe to our newsletter. By sharing the giveaway with your friends, you gain a bonus entry for every friend that enters via your link too! Tri-Dosha shampoo & conditioner set The prize draw closes on 24th June at 23.59 GMT and full T&Cs are in the Gleam widget. Oils are having a ‘moment’. From slippery skincare cleansers to gloss-giving lip oils (which are being touted as the latest beauty slick sensations), people are saying ole to oils. It’s generally accepted that oils are essential for healthy, moisturized and balanced skin. After all, they’ve been used for centuries across different cultures. In Ayurveda, oils are right at the heart of its practice, blending wonderful potent formulas for skincare solutions – and beyond. Because of Ayurveda’s holistic approach, what you put on your skin goes deeper than the surface. You might want to calm anxiety via chamomile, or to nourish inflamed skin with lavender, and bring some equilibrium into your life courtesy of lemongrass. With oils, there’s a ‘cure-all’ waiting. 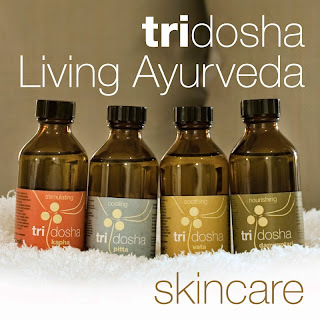 Tri-Dosha follows these principles and infuses its body products with beautiful, effective blends. Bliss out with this inspiring blend for serene souls, using active ingredients chamomile and frankincense. A cooling formula that will leave you perfectly powered down, brimming with lavender and lemongrass. Expect a sophisticated, stimulating remedy to help your get-up-and-go, thanks to grapefruit and palmarosa. Brimming with nourishing ingredients, say hello to our ultimate skin healer, packed with orange, sweet cinnamon leaf. I recently had the pleasure to interview Art Giser, creator energetic NLP, intuitive healer and coach, and Dr Peter Fenwick about meditation. We discussed various thought processes with a focus on - with meditation - how you can make the most of your morning and / or evening, setting the tone for a great day. Here is what they said about a regular meditation practice and how it can optimize your productivity - and help keep you sane when the life’s pressure starts to mount. Once a niche activity for the spiritual set, how do you see meditation benefiting the modern man? Most of us now lead very over scheduled and demanding lives. Work, family, friends, partners, the ever increasing pace of change, and the vast amount of information we are exposed to and need to be aware of. It helps us with all our relationships, and with work. As a very successful, "Type A" executive said to me once, "I couldn't possibly get so much accomplished if I didn't meditate". It has huge health benefits, and most importantly feeds our soul. If more people meditated, what changes can we expect to see in an individuals life? In the workplace? Individuals would be healthier and happier, and have better relationships. . They would handle challenges and stress more creatively and effectively. They deepen as a person, have more perspective on life, and grow spiritually.At work people are able to collaborate better, not be triggered as easily or hold on to it as long, are more creative and productive. They are better able to handle stess. What is the best type of meditation a therapist can pass on to their client? There are many wonderful types of meditation. Mindfulness meditations are very accessible and helpful. I personally prefer meditations that work directly with the human energy system and spirit. When should an individual meditate? What time of day is best, morning or night? There are different benefits from doing it at different times. Ideally, it would be morning and night (at least briefly). The most important thing is to do it at least once when it works most easily with your schedule and personality. Some people find it easier to get up earlier and do it, some find it easier to do it in the evening or before bed. In your opinion, what techniques are best for a beginner to meditation (please list your top three)? My favorite techniques are energetic and easy to do, but I can't describe them briefly. A wonderful and easy technique is a form of mindfulness, where you notice your breathing coming in and out, softly paying attention to the air as it enters and leaves your nose. When thoughts come up you just leave them alone (don't try to stop them) and just keep noticing your breath. How do see meditation benefiting the modern man? Meditation should be fitted to the client. For beginners, eyes closed mantra meditation is good, as is eyes open mindfulness meditation. Form there you can progress to a wider range of other meditations. When should an individual meditate? HuangPo, an ancient zen Buddhist master, said meditation in the morning is golden; in the afternoon silver; and night bronze. In your opinion, what techniques are best for a beginner to meditation? See above but add yoga and a breathing meditation – Vipassana. 1. NICE (2009). Treatment of third episode recurrent depression. As we contemplate our New Year resolutions, do they include - combating stress and / addiction? Loosing weight? Accepting a current relationship isn’t working and it is this that is getting in the way of you being your best self? Well, I’m not a huge fan of New Year resolutions as for the most, you set yourself up for failure. A well documented fact, any change in your life takes time to adjust to and commit to that behavior; hence it would be far more effective to think of how you can use this opportunity to set your mind on ways to live a full and healthy life. So … here is where my sage advice comes in - what I’ve done here with Ayurveda is apply aspects of this ancient knowledge system to our modern day dilemmas, things we may be contemplating as we move into a new and exciting year, and detailed, through hard work and commitment, the kind of results you may achieve. Sage advice Keep grounded, working with various holistic health modalities, such as yoga and light forms of meditation. More people would learn from their mistakes if we weren't so busy denying them, and embrace joy, peace, love, hope, serenity, humility, kindness, benevolence, empathy, generosity, truth, compassion and faith! Why can’t celebrity love go the distance? Not a week goes by without a celebrity split, and I’m sure it must be hard to maintain a relationship in the limelight. I think of grueling work schedules and the pressures of being under the microscope. A recent case is that of Myleene and Graham Quinn. They'd been dating 11 years and had two children together before they married in October last year. But, after just seven months as husband and wife, the pair split and things turned nasty. My Ayurvedic diagnosis: From the outside, it seems to me they are both pittas – the flames of passion overwhelm the pitta couple! An intelligent, ambitious and opinionated force together, the pitta couple is just as passionate in the boardroom as they are in the bedroom. To keep their force strong, it’s best they are both on the same team. But could Graham have been threatened by Myleene's success? Did they marry to try and save their relationship? Sage advice Self-respect and liking oneself are the most important ingredients for any good relationship. If these are in short supply you may consider counseling to address them. Any relationship that diminishes a person's self-esteem should be examined closely. Try considering this: Self-respect and liking oneself are the most important ingredients for any good relationship. If these are in short supply you may consider counseling to address them. Any relationship that diminishes a person's self-esteem should be examined closely. In these relationships, each partner’s central role is either as a parasite or as a victim. However, these roles can switch periodically if an emotionally charged situation arises like a biting argument. When this happens, the aggravated pitta, which is a repressed sick part in an individual, can come shooting out like red-hot lava from an angry volcano! Wishing you a joyous new year, a new beginning, full of things that have never been ... ideally your new chapter that has just begun! Entries are now in to our competition question: What do you do at home with your family to promote conscious living?